Zachary Smith is the CEO of Packet. 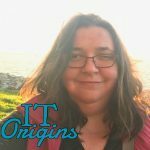 I had the privilege to talk to Zachary Smith from Packet in our most recent IT Origins interview. We discussed how he went from majoring in the double bass at Juilliard to becoming an IT entrepreneur. We also discussed his two months in the Boy Scouts, the hip Australian coffee, and the benefits of innovating on the software layer. You can follow Zac on Twitter, LinkedIn, and on the Packet blog.